Today we share an interview with Devesh Sharma, blogger, author, serial entrepreneur, an affiliate marketer, and role model to many WordPress users. Thank you Dev that you kindly took some time to answer questions. Tell us a bit about yourself and your blog. Where are you from, what do you do for a living? 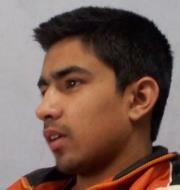 Hey, my name is Devesh Sharma and I am a full time blogger from India. I have been working online since 2009 and making a full time income since 2012. My first site was Technshare, a blogging tips multi author blog, which I later sold for 4-figures. 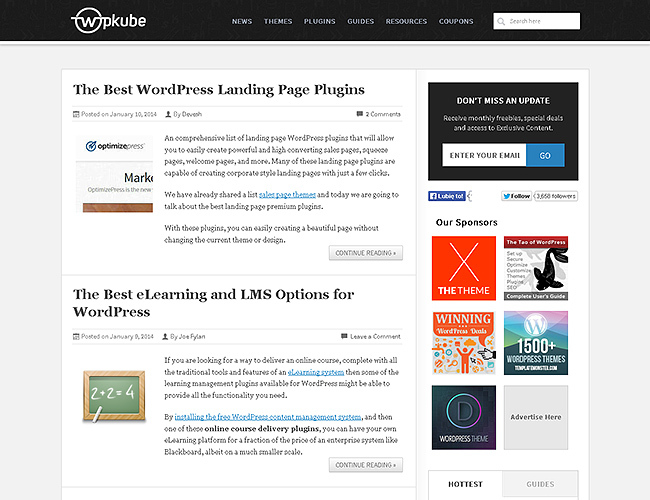 WPKube – A WordPress resource site targeted towards beginner users. I registered the domain in 2010, but did not started focusing on, until 2012. 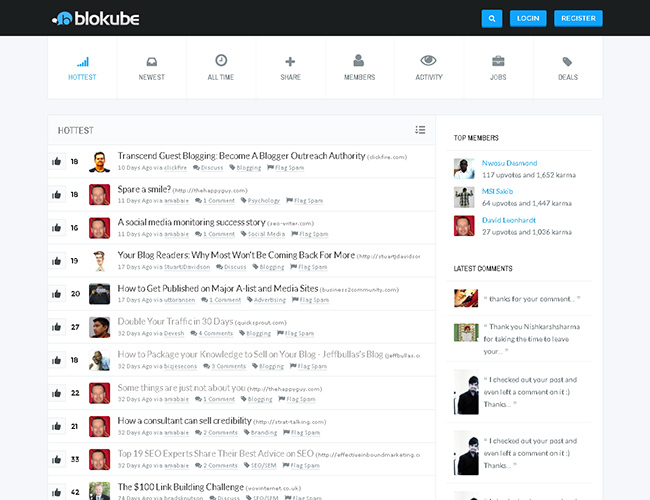 Blokube – This is a social bookmarking site I started when I was running Technshare. It got featured on many popular blogs and currently has around 10k users. Apart from running two websites, I am currently doing my under-graduation (sophomore year). How long have you been working with WordPress? When was your first experience? I have been using WordPress to build websites, since 2009. I originally started with Joomla, but later move to WordPress and never looked back. My first experience was fantastic and I really liked how everyone in the community was so supportive. Over the last few years, I have tested a number of different platforms and I don’t think there any better platform than WordPress. How did you get into blogging and why do you enjoy it? It was 2009, when a guy created a thread on orkut, about making money using Adsense. He shared a strategy that would allow users to make money by clicking on each others ads, but Google was too smart, and most people who participated (including me) ended up getting their account banned. So I started exploring other ways to make money, and within 2 months or so, I lunched my first website – Technshare. After spending 12+ months working on it, growing it to 500 unique visits / day, I realized that I wasn’t making enough money for my time. In November 2010, I launched another website called - WPKube as an experiment to see if I can make some money through affiliate marketing. To my surprise, the site made 30-50 bucks within its first month. And it was consistently increasing, and within a few months it started making money than Technshare. So I decided to sell Technshare, and focus more on the WordPress niche blog. The ups and downs of being popular blog owner. The ups & downs of being a blog owner is that you are your own boss and don’t have anybody to report. That also means, you are responsible for a lot of things including blog content, design, and marketing. As a blog owner, you cannot procrastinate or show laziness, if you do, you might end up missing a number of good opportunities. How does it feel to be recognizable in WordPress community? It does feel good, but I am more happy about the fact that I was able to make so many awesome friends, along the way. I think I owe the success of WPKube to Joe Fylan, Sourav Kundu, Kim Doyal, Adam Connell, and so many others for helping me take the site, where it is today. Do you have other projects besides WPKube and Blokube? Currently my main project is WPKube, but I am running a few small blogs as an experiment. I am also planning to test with Amazon niche sites. Does opening managewp.org had impact on Blokube popularity? In terms of popularity, I don’t think Managewp have any impact on Blokube, because their target market is completely different. While Blokube is for internet marketers, ManageWP is for WordPress fanatics like you and me. Also, I don’t think Blokube has reached to its full potential, yet. And it’s partially my fault, because I started focusing more on my WordPress site. But I do plan to put more efforts on Blokube, this year. What’s the average time you spend working on your projects? I spend a fairly good time on writing articles, guest posting, promoting WPKube, and working on small niche sites. I do most of the work on week days. But I am hoping to change that, by creating a consistent blogging schedule and scheduling most of the content in advance, so I can focus more on other activities such as link building, guest posting, getting interviewed on other blogs such as this one, etc. Last year, my spent most of my time checking analytics 3-5 times a day, and thinking why this blog isn’t doing well or why it I am not getting any affiliate commissions. But I am happy that I have stopped doing that, instead I have started focusing more on building links and guest posting. What's your view about currently opened RiseForums? Kevin Muldoon is known for taking a new site from zero to hundreds of thousands of visitors per month, and this project is no exception. He has already done a great job in establishing the RiseForums in the marketing space, and has got a good mixture of bloggers. I am glad to be a part of this rising community. Although, I think it is hard to grow a paid membership site, as it takes a lot more efforts. But in the long run the site will do well, because it will only attract quality members, who are really there to participate, and not just to build links or promote their own content. Do you have any advice for people who want to start their own blog? Blogging is fun, but it isn’t easy, it takes a lot of work and patience. Those times are gone when you could write a 300 words post, rank it, and start making money. Now it is more then that, you have to write in-depth content, 1500-2000 words if possible. If you do that, you will rank for multiple keywords, not just one. You can also use infographics and other visual assets to increase engagement and conversation rate. Here is a good example of in-depth post that Joe wrote for us. That post is not doing well for its main keyword, but is driving a good amount of traffic through long tail keywords. These are the type of posts that are going to rank for multiple keywords and generate leads. So if you really want to make money, and at the same build a brand, then focus more on in-depth content. Chris Lema – Chris writes some of the awesome stuff about WordPress. Kevin Muldoon – He has helped me on several occasions directly and in-directly, and if everything goes as planned he will soon be writing for wpkube . Adam Connell – In January of 2013, I started doing email outreach and sent an email to Adam Connell. And within a few minutes he replied, and we started sharing & linking each other’s content. Throughout the year, helping each other, we have become quite good friends. I spent most of my free time with my family and friends. 2013 was a fantastic year, as WPKube finally started growing in terms of traffic and income. I also hired two great writers Joe Fylan and Sourav Kundu, and got featured on many authority sites. I plan to release a few WordPress themes, among other cool things. If you want to know more, then you should probably subscribe to my email newsletter. Davesh from WPKube kindly took some time out of his schedule to answer some questions about himself, his blog and the WordPress platform. It’s always interesting to hear the views of another blogger who focuses on WordPress so I hope you enjoy the interview.